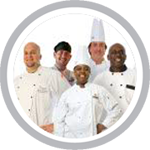 Iowa food handler safety training is necessary for employees in the food service and hospitality industry. Iowa food safety training is for employees (such as chefs, cooks, servers, preparers, vendors, caterers, supervisors and managers) who are involved in preparing, storing, or handling food that work in: (restaurants, bars, cafes, bakeries, delis, mobile food trucks, assisted-living, day care centers, and convenience stores). Iowa requires each retail food establishment to have a person-in-charge, an owner, or manager of a food establishment be a Certified Food Manager (CFM) as outlined in the FDA Food Code by successfully passing an accredited ANSI food safety certification exam. Iowa Food and Consumer Safety – Food Establishment License Application (PDF) – Iowa law prohibits a food establishment or food processing plant from opening or operating until a license has first been obtained from the appropriate regulatory authority (covers Food Service Retail Food, and Mobile Food operations). 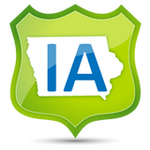 We offer online Food Safety Training in Iowa for: Des Moines, Cedar Rapids, Davenport, Sioux City, Iowa City, Waterloo, Council Bluffs, Ames, West Des Moines, Dubuque, Ankeny, Urbandale, Cedar Falls, Marion, Bettendorf, Mason City, and many more! Cedar Rapids - Iowa Food Safety Terms: food safety, food safety course, food sanitation, state-approved, certified food manager, cfm, mobile food vendor, food cart, mobile food trucks, food truck, catering, food safety training, food safety exam, food manager certification, food handler card, food handler, food safety manager, food manager cerification prep, food manager, food managers certification, on-premise, off-premise, food managers class, food managers course, food safety class online, haccp, serve-safe, foodsafety.gov,fda.gov, food safety training, ansi, cfp, ansi-cfp, food safety jobs, food safety links, food safety course demo, food safety regs, food inspector, foodborne illness. Des Moines, Cedar Rapids, Davenport, Sioux City, Iowa City, Waterloo, Council Bluffs, Ames, West Des Moines, Dubuque, Ankeny, Urbandale, Cedar Falls, Marion, Bettendorf, Mason City, and many more!